Two bloggers of Toylab: SarahLovesZombies and Matty B went to the Walker Stalker Convention in downtown Denver this weekend. The overall reviews of the event were some what mixed. The feel of traveling zombie road show has the feel of a celebrity zoo. The primary attraction of the show is celebrities and generally for each one you have to pay. Sometimes not much, sometimes a LOT. If you really want a selfie with Walking Dead cast member though this was definitely the place to be. There were other things there. There were haunted house like attractions that simulate a zombie apocalypse, their were booths of art and there were panels and presentations. Like most conventions the coolest part tends to be meeting other people who share your same interests. Here are some highlights from our day! A few cool things we did: We spent a lot of time with the Znation actors. They generally did not have as much attention as the Walking Dead actors and were hilarious especially Doc! Apparently Zweed was his idea :) I knew it! The actors who play Tobias and Chris put on a panel from Fear the Walking Dead. A couple of highlights. First it sounds like Tobias is likely to appear again is some fashion or form which is good because I really like his character. 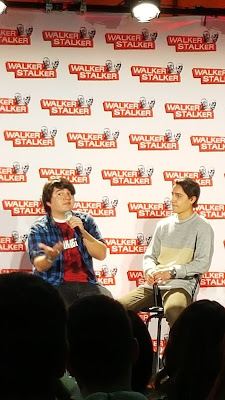 They addressed how the feel of the show was a little different by being placed earlier in time that the Walking Dead. Their characters were more ignorant as to what was going on than the characters we meet in the Walking Dead. 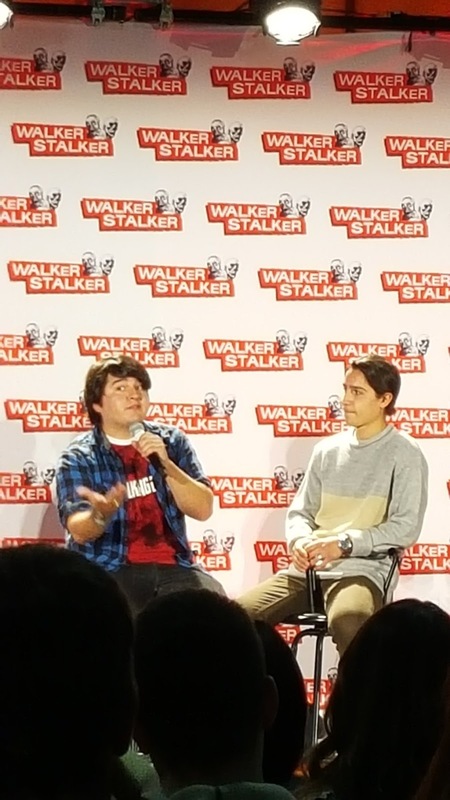 Spoke to a few Walking Dead actors most did not say anything to notable. Seth Gillam who plays Father Gabriel says he felt his character has gone from a lost follower to a true leader and will play a bigger part in future events. I also met Francine who has barely been in the show. I asked her if her character is going to be Holly. She said that her character has some aspects of Holly but is different.